Do you own or manage a medical or recreational marijuana dispensary in Utah and looking for merchant account services to take debit and credit card payments? The Transaction Group (TTG) has your solution. TTG has been assisting the cannabis industry with financial services and payment solutions since 2011. Together with our banking partners, we offer a solution that allows marijuana dispensaries to accept debit and credit cards from customers. Our marijuana dispensary merchant account solution is a favorite of both customers and dispensaries in Utah. It’s truly as win-win for both customers and business owners. With our solution, customers are not inconvenienced with having to carry large amounts of cash or visit an ATM in order to have the funds to purchase their products. And, given the option to pay with a debit or credit card, customers tend to spend more per sale. Having a merchant account solution in place in a Utah marijuana dispensary ultimately increases revenue for the business, while also helping to alleviate the headache of having excess cash on hand for the business. Using our encrypted, standard credit card processing equipment, processing debit and credit cards from customers is easy. Cards are swiped through the terminal much like any standard debit or credit card transaction. After the quick checkout process, the sale is complete and the customer leaves happy. The approval and set up process is just as easy. In addition to the application, we require very few support documents for approval. In most cases, dispensaries can be approved and set up with our credit card processing solution in under 7 business days. We understand the challenges businesses like yours have faced with banking and financial services over the past several years. But, operating your cannabis dispensary as cash-only is a thing of the past. 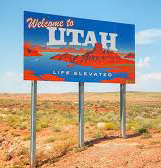 If you operate a medical or recreational marijuana dispensary in Utah and need a reliable merchant account solution or banking services, give TTG a call today at 888-383-8056. We look forward to serving you! Need immediate assistance? Complete this form or call us today at 888-383-8056. Are you shopping for a better rate? Let us save you money! Most merchants are unaware that interchange rates are adjusted as much as 2x per year. Over the course of several years, those adjustments can hike up a merchant’s rate and cost the merchant thousands in processing fees. Contact us via the form above, or call us today at 888-383-8056. Chances are, we can save you up to 25% over your existing rates and fees! Why do businesses choose to work with The Transaction Group? We aim for 100% customer satisfaction. We understand that the customer comes first. At the end of the day, if the customer is not happy, we’re not happy. We offer a FREE rate analysis to every business. In most cases, we can save a business up to 25% on existing rates and fees. But if we can’t beat a customer’s rate, we’re upfront from the start. We don’t waste the customer’s time. We are reliable and always available. If a customer has any concerns, we’re available even after business hours. We’ll address any issues immediately. We don’t believe in one-size-fits-all.We provide solutions based on the specific requirements of each and every business. What’s best for one small business may not work for another. We have a fast & easy setup process. In most cases, we offer a fast and easy approval and set up. While some high risk businesses can have longer underwriting times, we keep the customer informed throughout the process and work for fast approvals. We have solutions for every business type. From low-risk card-present credit card processing solutions to payment processing solutions for high risk e-commerce stores, we’ve got it all. At The Transaction Group, customer satisfaction is our priority. Allow us to show you what we can do for you. Would you like us to contact you? Please submit your basic information here and we’ll have a representative contact you right away. Sign up for your free advertising consultation today to receive a free SEO video covering on-page optimization and long-tail keyword strategy. Advertise with BusinessOpportunity.com today and receive up to 1 hour of expert SEO training to optimize your business website or opportunity website/landing page. Aspiring entrepreneur? Sign up to the BusinessOpportunity.com newsletter to receive information on great business opportunities as well as expert tips and advice for managing and growing a small business. BusinessOpportunity.com has options for every entrepreneur at every investment level.